Stuck In A Lagos Traffic? Check Out 6 Stuff To Do.. - GlobeFarers | Travel Tips & Tour Bookings. I stay in a city with a good road network, and a well developed, organized transport system. I barely experience what it’s like to be stuck in traffic, but when I do on rainy days and the roads are congested, the traffic lasts for barely a few minutes. 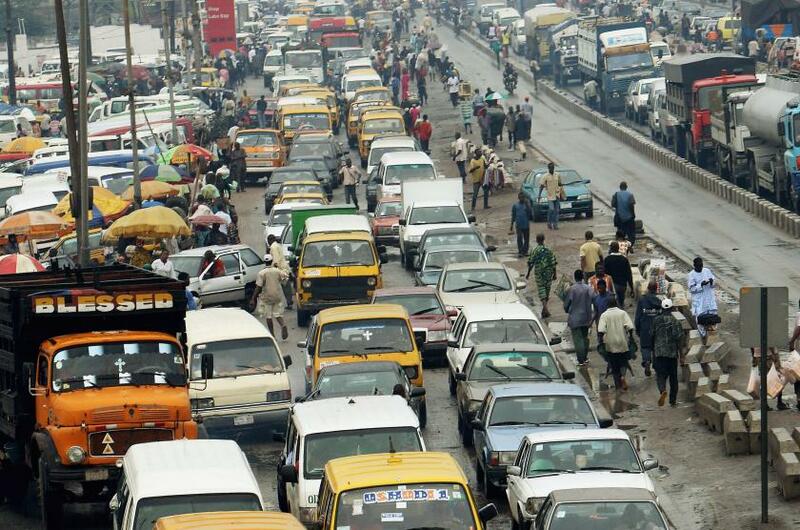 Lagos is a cosmopolitan city in Nigeria, famous for its madness, beauty, hustle, as well as its notorious traffic. Being stuck in a Lagos traffic, is nerve racking, absolutely the worst, hopefully here are some stuff to get preoccupied with, while stuck in traffic in Lagos. Most lagosians have to drag their tired behinds from the bed, when their alarm goes off every morning. Then they wind up skipping breakfast and rushing out the house. During a traffic, have the much needed breakfast, buy a roadside meal or snack. Turn up your favorite playlist and listen to music. Download your favorite new songs and listen still. We can get so busy that we forget to listen to music, in between our day. Besides listening to good music, it’s an excellent way to relax the body and control road rage. You can also turn up your radio and listen to the morning show on air. Our everyday schedule is so busy most times that we barely have time to read our favorite authors, catch up on our blog sites or simply read the morning paper. A time we’ll spent in traffic can be reading a paperback novel, reading an e-book, checking your medium page, reading the morning paper, blog articles or just facebook. If you are the type, too busy to scroll through your social media pages, being in traffic is the perfect opportunity to do so. You can go check pictures and videos on instagram, tweet about something, check LinkedIn or Google+, upload a new selfie on facebook, or even watch YouTube. You can also reply to your pile of messages on your email and whatsapp, check up on people, and catch up on gists with your friends. You can also get the much needed sleep you deserve, if you are comfortable sleeping in public places, or rather play games, watch a movie, go over your plans for the day, or something.